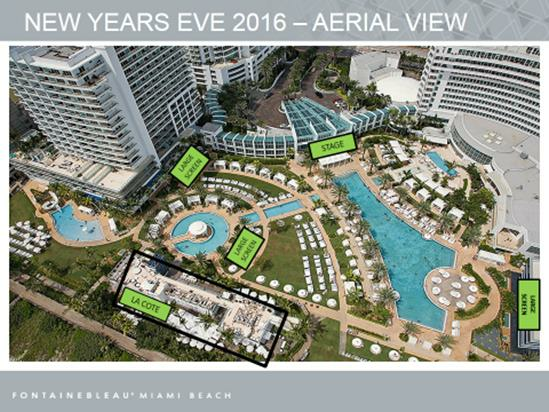 Fontainebleau Miami Beach invites you to ring in 2017 with the year’s hottest musical acts poolside. Pop sensation Justin Bieber kicks off the night with an electric performance poolside. 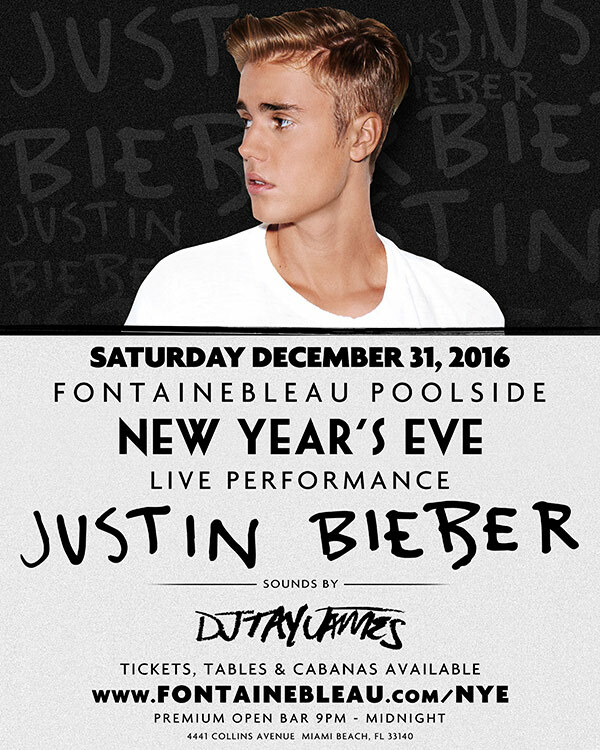 Bieber heats up Fontainebleau’s iconic poolscape, with an unforgettable performance set to include his greatest hits. With a lineup of ultra-exclusive packages, including stage-side tables and cabanas, you have a chance to be at the center of the party alongside Bieber. Ticket prices start at $350 for one (1) general admission ticket, and range up to $50,000 for a stage-side private space for up to 25 guests. All packages include premium open bar from 9 PM until Midnight. For more information on tables, please call +1.305.674.4680 or email VIP@LIVnightclub.com. Note: There will be no cash bar on the pool deck until midnight. Non-alcoholic beverages are available.